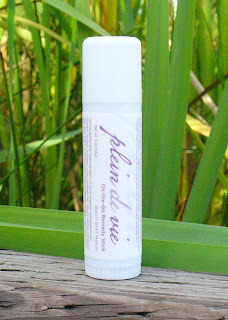 My go-to stick for anything and everything, I carry Plein de Vie’s On the Go Remedy Stick where ever I go. It minimizes bug bites and unitches obnoxious itches rapidly and smells of a calming lavendar. My kids refer to it as their “fix it stick.” A hang nail, scratch, chapped skin, what-have-you, they’ve learned that the On the Go Remedy Stick will fix their problems and make them feel better–almost as great as “Mommy’s Magic Kiss”. Made with 85% Certified Organic ingredients, use code LOVE for 50% off your second stick. This feel-good purchase is even more of a feel good purchase knowing that 3% of products purchased on their website go to Equality Now. If you’re pale skinned like me, you dread dressing up for an event or going to a warm, sunny place. Because, really, who wants to see the ashy pale ghost that you are all winter? Before my trip to Mexico, I tried Dr. LeWinn’s Private Formula Sunless Tanning Lotion. Having never before tried a Sunless Tanning Lotion I was terrified it would look fake in color or streak my legs. After applying Dr. LeWinn’s Sunless, I was pleasantly surprised. There were no streaks, the scent was bearable and I had a tiny glow, which after further applications continued to look natural. Just apply once a week to keep a natural glow year round. There are a lot of choices when it comes to protecting baby from the sun. One I’ve been happy using for my boys, that is safe for babies and I’m certain I’ll use for the baby this summer is MD Mom’s Baby Silk Babysafe Sunscreen Towelettes. They’re wipes, coated in sunscreen, so they go on easily–especially simple when you’re getting your child dressed and there’s no spray flying out. They’re gentle, sweat-proof and have an SPF of 30+. Each towelette lasts throughout the wiping on a baby. And usually over a toddler or preschooler. To be safe, I usually use about 2 to 3 between both my boys. A set of 15 is perfect for a few days at the beach. Yes, I’m telling you about a bar of soap that costs $125. Close you’re mouth, if you’re into a more youthful look (and who isn’t?) Its totally worth the dough. Doubt me? Do what I did and try out the travel-sized sample. It lasts about 2 weeks, used calmly. (Read: Don’t share it with the husband.) He doesn’t need infusions of collagen from Japan or Silver, which “blocks the bacteria’s ability to transfer oxygen through its cell walls [and] has healing properites.” So, is it worth it? Um, yes, its worth it. Cor’s Silver Series soaps foam nicely and cleanse, while making your face appear and feel crisp, clean and clear. Very clear. Its not an overnight miracle, but you’ll notice a difference right away. Totally worth a trial size. Clearly.